Here’s for all you guys who are into wordplay. 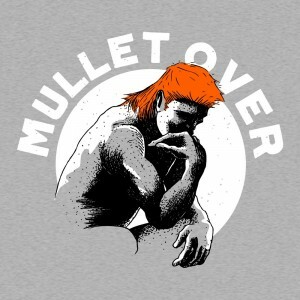 It might slip past some of you who are into mullets. Okay, that was unfair, I grant you that. One of the greatest minds in recent history wore a mullet. He could build a rocket with a paperclip and some string. Oh, that reminds me, there’s a new rebooted Mcgyver show out there that I’ve never seen. Is it any good? Write in the comments if you’ve seen it and tell me if it’s worth checking out. In the meantime, wrap this cloth around your torso if you wanna be business in the front, party in the back, and philosophy in the middle.